With a name like “Johnna’s Best Mac & Cheese” it immediately goes to the top of my list. 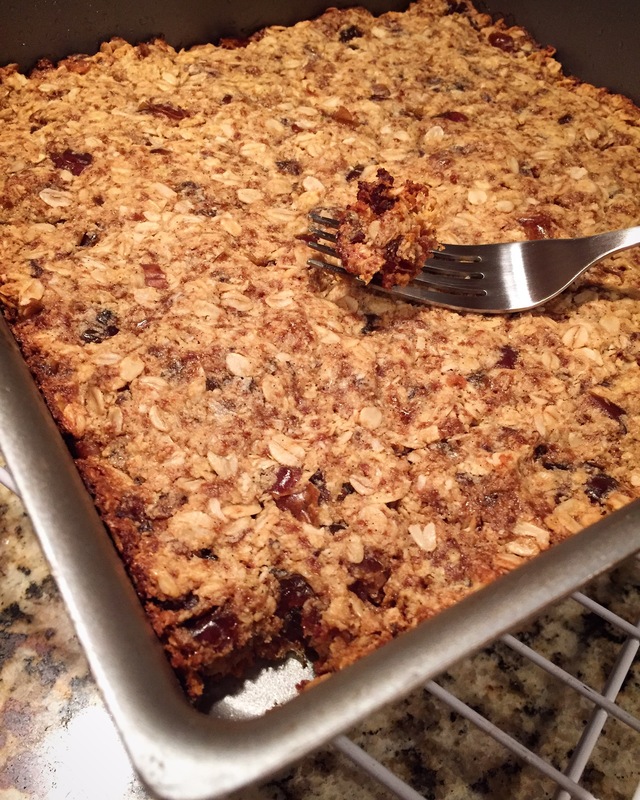 Made these date oatmeal bars and you should too! (they taste like a healthy blondie, Mr. CITC approved!) Be sure to use truly gluten-free oats like those from GF Harvest. Veggie Cobb Dip sounds pretty perfect for our next cookout. 4 Ingredient Chicken Parmesan Casserole — she had me at “4 ingredient.” Proof that bloggers like to keep it super simple too. I’ve been experimenting with essential oils lately, anyone else using them? I can’t get enough lavender. Amy has some tips for a DIY Wellness Kit with Essential Oils. 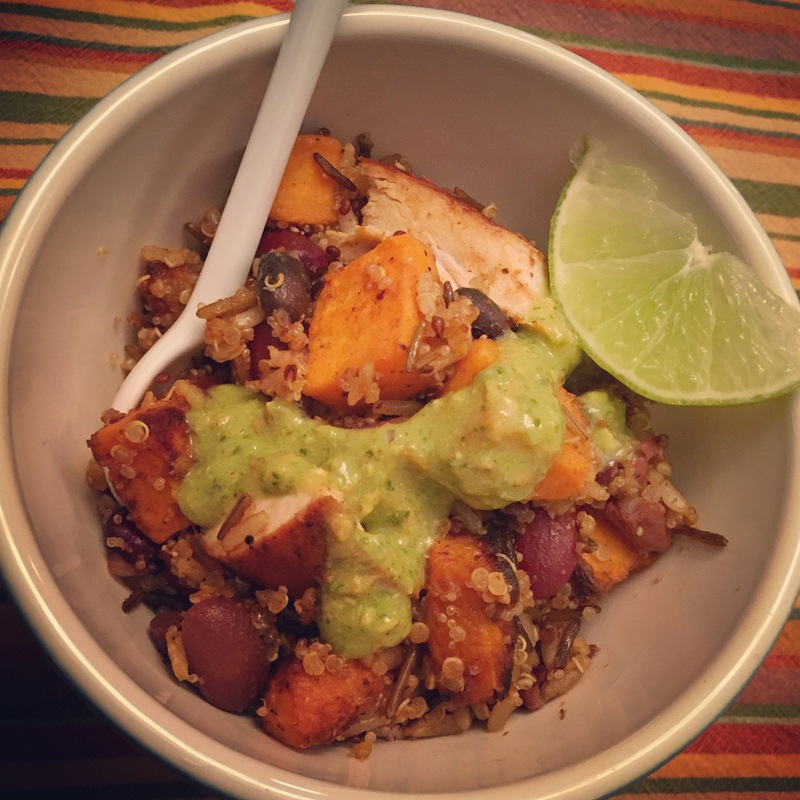 Still loving the magic green sauce and putting it on all the things — like this 3 grain skillet last night: quinoa, millet, wild rice with 3 bean mix, sweet potatoes, shallots, pheasant, garlic, cumin, chili pepper, lime, salt & pepper. YUM! Ever tried a gluten-free beermosa? Just trust me. 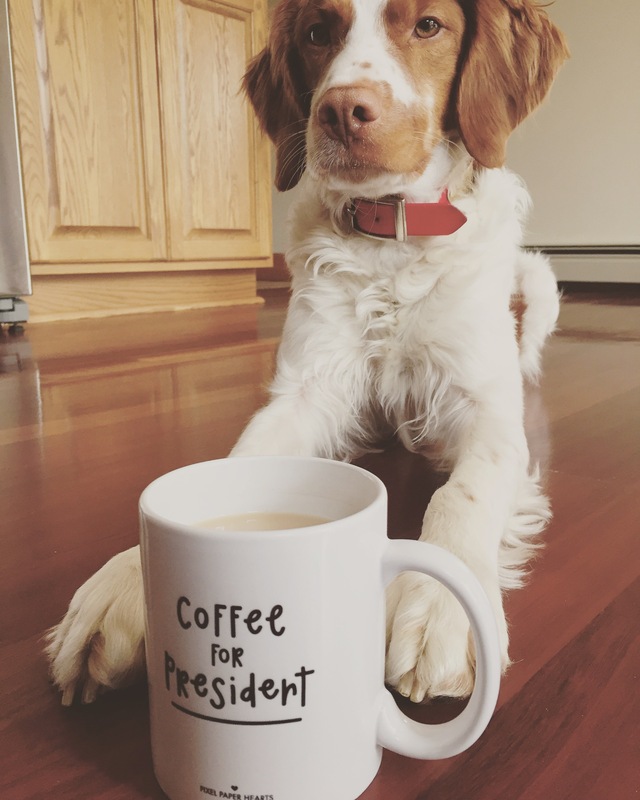 We’re officially endorsing COFFEE FOR PRESIDENT!